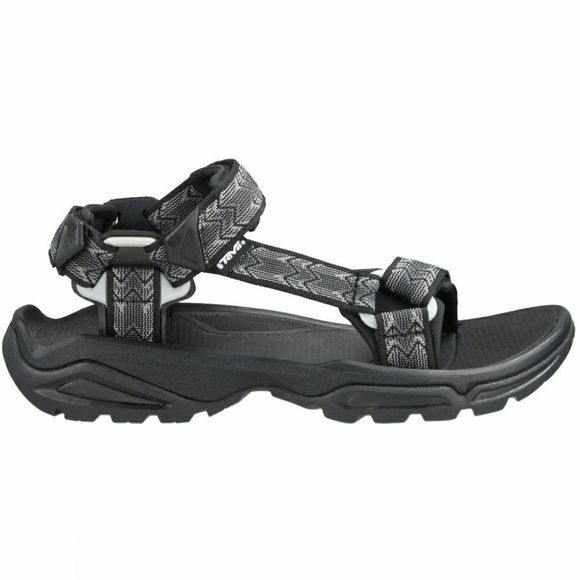 The Men's Terra Fi 4 Sandal from Teva is a great option for both in and out of the water. The webbing straps can be adjusted with hook and loop in three locations so you are bound to quickly find the perfect fit, they are also treated with a Microban anti-microbial treatment that reduces the chance of any excess odours. The sole is created with Teva's Spider Original rubber which provides firm, reliable traction on land and in water, while a nylon shank running through it will offer your foot torsional rigidity and stability.